A genetic blood test is considered the gold standard for diagnosing since it is caused by a genetic mutation, or mistake, on the NOTCH3 gene. There are multiple variations of the NOTCH3 mutation that cause CADASIL. 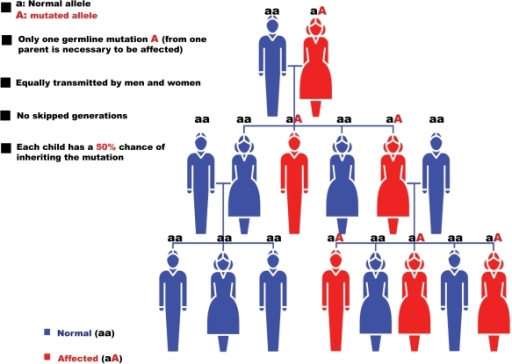 However, all affected individuals in the same family will carry the same mutation. This test only requires a blood sample and can be ordered by you physician. On initial CADASIL testing, the entire large NOTCH3 gene will be reviewed for mutations. If your family has a history of CADASIL and the specific NOTCH3 mutation is already known, providing this information to you physician or the diagnostic lab may decrease the cost of CADASIL testing because only a specific portion of the NOTCH3 gene will be reviewed. Some individuals may be tested due to medical necessity, often after an abnormal MRI or other neurological symptoms. Others may decide to have genetic testing due to CADASIL history in their family since the gene is autosomal dominant. This decision can be difficult and there is no correct decision. Please discuss CADASIL testing thoroughly with your physician or seek assistance of a genetic counselor. Genetic counselors have expertise in working with people who are at risk for genetic disorders and may provide helpful advice and guidance in making your decision. Please see the helpful links below as a resource or to share with your medical team regarding labs that conduct the CADASIL genetic test if you are interested in having a CADASIL (NOTCH3) genetic test done. GENE tests website – This website allows you to search labs in the USA and other countries that can do the CADASIL genetic blood test. In the USA, Athena Labs is a common choice for physicians, you can find specific code information for the CADASIL blood test here. If one member of your extended family already has genetic test results, it can potentially be more cost effective to have a family DNA sequence test done since the lab will have information on where to look for the abnormality. Information for family testing can be found here.